Dr. Stray-Gundersen leads the Hi-Low Training for the US Athletic Trust. Learn a bit more about this pioneering doctor and his work to help athletes become the best they can be. Dr. Stray-Gundersen received his Board Certification in General Surgery in 1985. He then completed Post Doctoral Fellowships in Cardiovascular Physiology and Human Nutrition at The University of Texas Southwestern Medical School (UTSW) where he received appointments as Associate Professor of Orthopedic Surgery, and Physiology. While on faculty, over 20 years at UTSW, Dr. Stray-Gundersen conducted research and built and directed two World Class Human Performance Centers associated with leading hospitals, St. Paul and Baylor. Dr. Stray-Gundersen’s primary interest and area of research is maximal human performance, the physiology of health and fitness/wellness through exercise prescription, markers of over training, nutrition as it applies to performance and health, altitude acclimatization and training (pioneered Live Hi/Train Low), and anti doping (developed anti doping test SAFE – Safe and Fair Events). Since 1984, Stray-Gundersen has worked with numerous Olympians in various sport disciplines advising on training for Maximal Human Performance and has an on-going relationship with the great runner and director of the NIKE Oregon Project, Alberto Salazar. Dr. Stray-Gundersen lead the first invasive anti-doping research at the World Championships in Lahti, Finland in 1985 and his work continues with the development and implementation of the SAFE Test — Safe and Fair Events — considered by some the most aggressive blood profiling test in the fight against cheating. 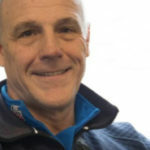 He has been an official physician/consultant of United States, Norwegian, and Canadian Olympic Teams, and an official member of over 15 World Championships. Anti Doping: In an effort to stop cheating in sport, Dr. Stray-Gundersen began his Anti Doping work in 1985, where he and his colleague were the first to administer invasive blood doping testing at a World Championship event. Dr. Stray-Gundersen is considered a pioneer in the anti doping community and has continued his anti doping work with the development of the an anti doping test called SAFE — SAFE AND FAIR EVENTS — implemented in 2002. Medical Committee: Serving as an authority on human performance, rules, and safety of athletes, Dr. Stray-Gundersen has served on a number of International Medical Committees including the International Olympic Committee Medical Committee, the International Ski Federation Medical Committee, the International Biathlon Committee, International Skating Union, World Anti Doping Agency, the US Anti Doping Agency, FIFA, and NASA. In 1989, Dr. Stray-Gundersen and his colleague Dr. Ben Levine, began a 15-year-study on Altitude Training for Maximal Performance. Over the years, the study and both researchers have received numerous accolades and awards and were nominated for the United States Olympic Award — the highest honor given by the committee. “Live High/Train Low” changed the way International sport used altitude to train its athletes. In 1996, Dr. Stray-Gundersen and his family were invited and moved to Oslo, Norway to work for The Norwegian School of Sport and The Norwegian Olympic Committee. His primary research was altitude training, performance training, and anti-doping work. He became director of the High Altitude Performance for the 2002 Olympic Games. Dr. Stray-Gundersen was a member of the 2002 Norwegian Olympic Team as an official member/physician for the team. After the 2002 Olympic Games, Dr. Stray-Gundersen and his family moved to Park City, Utah where he worked and traveled as a consultant for numerous countries and their Olympic teams, professional groups, universities, and individual athletes. In 2007, Dr. Kenneth Cooper recruited Dr. Stray-Gundersen back to Texas for a one-year contract to serve as physician and also begin an Elite Performance Service at The Cooper Craig Ranch facility. Currently, Dr. Stray-Gundersen continues his Olympic and performance consulting work, and has started The S-G Alter G Center in Frisco, Texas. The developing center utilizes cutting edge technology in the Alter G or Anti Gravity Treadmill and offers multi levels of athletes, children, geriatric populations, and the “normal population” world renowned expertise in the areas of fitness, performance, wellness, weight loss/management, recovery, pre and post operative preparedness, through exercise and nutrition. Family — Dr. Stray-Gundersen splits time in Frisco, Texas and Park City, Utah with wife Hollie (Public Relations and Personal Training) and their four children — Kirsten 23 (graduate Colby College, Maine competitive cross country skier), Kjell 22 (RIASA Soccer Richland International Academic and Soccer Academy, England), Sten 19 (graduating HS Senior Track and Soccer, Enrolled Dartmouth Freshman playing Soccer), Gunnar 15 (HS Freshman, Track and Soccer). 1. Musch, T.I., D.B. Friedman, G.C. Haidet, J. Stray-Gundersen, T.G. Waldrop, G.A. Ordway: Arterial Blood Gases and Acid-Base Status of Dogs During Dynamic Exercise. Journal of Applied Physiology 61:1914-1919, 1986. 2. Stray-Gundersen, J., T.I. Musch, G.C. Haidet, D.P. Swain, G.A. Ordway, J.H. Mitchell: The Effect of Pericardiectomy on Maximal Oxygen Consumption and Maximal Cardiac Output in Untrained Dogs. Circulation Research 58:523-530, 1986. 3. Musch, T.I., D.B. Friedman, K.H. Pitetti, G.C. Haidet, J. Stray-Gundersen, J.H. Mitchell, G.A. Ordway: Regional Distribution of Blood Flow in Dogs During Graded Dynamic Exercise. Journal of Applied Physiology 63:2269-2277, December, 1987. 4. Pitetti, K.H., P.G. Snell and J. Stray-Gundersen: Maximal Response to Wheelchair-Confined Subjects to Four Types of Arm Exercise. Archives of Physical Medicine and Rehabilitation 68:10-13, 1987. 5. Pitetti, K.H., P.G. Snell, J. Stray-Gundersen, F.A.B. Gottchalk: Aerobic Training Improves Cardiovascular Fitness and Increases Efficiency of Ambulation in Lower Extremity Amputees. Journal of Bone and Joint Surgery 69A:914-921, 1987. 6. Swain, D.P., J.R. Coast, P.S. Clifford, M.C. Milliken, J. Stray-Gundersen: Influence of Body Size on Oxygen Consumption During Bicycling. Journal of Applied Physiology 62(2):668-672, 1987. 7. Position Stand, American College of Sports Medicine: Blood Doping as an Ergogenic Aid. Medicine and Science in Sports and Exercise 19(5):540-543, 1987. 8. Coast, J.R., D.P. Swain, M.C. Milliken, P.S. Clifford, P.R. Stricker, J. Stray-Gundersen: Metabolic Requirements of Riding Windload Simulators as Compared to Cycling on the Road. Medical and Scientific Aspects of Cycling ed by E.R. Burke and M.M. Newsom. Human Kinetics; Champaign, IL, 1988. 9. Katz, J., M. Milliken, J. Stray-Gundersen, L.M. Buja, R.W. Parkey, J.H. Mitchell, R.M. Peshock: Estimation of Human Myocardial Mass with MR Imaging. Radiology 169(2):495-498, 1988. 10. Milliken, M., J. Stray-Gundersen, R. Peshock, J. Katz, J.H. Mitchell: Left Ventricular Mass as Determined by Magnetic Resonance Imaging in Male Endurance Athletes. American Journal of Cardiology 62:301-305, August, 1988. 11. Stray-Gundersen, J.: Unethical Alterations of Oxygen Carrying Capacity in Endurance Athletes. News in Physiological Sciences 3:241-244, December, 1988. 12. Anholm, J.D., J. Stray-Gundersen, M. Ramanatham, R.L. Johnson, Jr.: Sustained Maximal Ventilation After Endurance Exercise in Athletes. Journal of Applied Physiology 67(5):1759-1763, 1989. 13. Winter, F.D., P.G. Snell, and J. Stray-Gundersen: Effects of 100% Oxygen on Performance of Professional Soccer Players. Journal of American Medical Association 262:227-229, 1989. 14. Alway, S.E., J. Stray-Gundersen, W.J. Gonyea, W.H. Grumbt: Contrasts in Muscle and Myofibers of Elite Males and Female Bodybuilders. Journal of Applied Physiology 67(1):24-31, 1989. 15. Stray-Gundersen, J.: Overtraining: Markers Associated with Overtraining. Winter Sports Medicine Allan J. Ryan Chief ed. Chapter 9:72-77, 1990. 16. Alway, S.E., J. Stray-Gundersen, W.H. Grumbt, W.J. Gonyea: Muscle Cross-Sectional Area and Torque in Resistance Trained Subjects. European Journal of Applied Physiology 60:86-90, 1990. 18. Ryschon, T.W. and J. Stray-Gundersen: The Effect of Body Position on the Energy Cost of Cycling. Medicine and Science in Sports and Exercise 23(8):949-953, 1991. 19. Stray-Gundersen, J., M. Denke, and S.M. Grundy: Influence of Lifetime Cross-Country Skiing on Plasma Lipids and Lipoproteins. Medicine and Science in Sports and Exercise 23(6):695-702, 1991. 20. Stray-Gundersen, J. and J. Galanes: United States Ski Team Cross-Country Training Guide. Published 1991. 21. Cohen, J., J. Stray-Gundersen, S.M. Grundy: Dissociation Between Postprandial Lipemia and High Density Lipoprotein Cholesterol Concentrations in Endurance-Trained Men. Arteriosclerosis and Thrombosis 11:838-843, 1991. 22. Alway, S.E., W.H. Grumbt, J. Stray-Gundersen, W.J. Gonyea: Effects of Resistance Training on Elbow Flexors of Highly Competitive Bodybuilders. Journal of Applied Physiology 72(4):1512-1521, 1992. 23. Nurenberg, P., C.J. Giddings, J. Stray-Gundersen, J.L. Fleckenstein, W.J. Gonyea, R.M. Peshock: MR Imaging-Guided Biopsy For Correlation of Increased Signal Intensity With Ultrastructural Change and Delayed-Onset Muscle Soreness after Exercise. Radiology 184(3):865-869, 1992. 24. Riley-Hagan, M., R.M. Peshock, J. Stray-Gundersen, J. Katz, T. Ryschon and J.H. Mitchell: Left Ventricular Dimensions and Mass in Female Endurance Athletes. American Journal of Cardiology Chapter 69:1067-1074, April, 1992. 25. Levine, B.D. and J. Stray-Gundersen: A Practical Approach to Altitude Training: Where to Live and Train for Optimal Performance Enhancement. International Journal of Sports Medicine 13(1):S209-S212, 1992. 26. Moore, G.E., D.B. Parsons, J. Stray-Gundersen, P.L. Painter, K.R. Brinker, J.H. Mitchell: Uremic Myopathy Limits Aerobic Capacity in Hemodialysis Patients. American Journal of Kidney Diseases 22(2):277-287, 1993. 27. Moore, G.E., K.R. Brinker, J. Stray-Gundersen, J.H. Mitchell: Determinants of VO2peak in Patients With End-Stage Renal Disease: On and Off dialysis. Medicine and Science in Sports and Exercise 25(1):18-23, 1993. 28. Roman, W.J., J. Fleckenstein, J. Stray-Gundersen, S.E. Alway, R. Peshcock, W.J. Gonyea: Adaptations in the Elbow Flexors of Elderly Males After Heavy-Resistance Training. Journal of Applied Physiology 74(2):750-754, 1993. 29. Parsons, D.B., K. McIntyre, W. Schultz, J. Stray-Gundersen: Capillarity of Elite Cross Country Skiers: a lectin (Ulex europaeus I) marker. Scandinavian Journal of Medicine & Science in Sports. 3(2):89-98, 1993. 31. Balaban, E.P., P. Snell, J. Stray-Gundersen, E.P. Frenkel: The effect of running on serum and red cell ferritin. International Journal of Sports Medicine 16:278-282, 1995. 32. Nummela, A., J. Stray-Gundersen, H. Rusko: Effects of fatigue on stride characteristics during a short-term maximal run. Journal of Applied Biomechanics 12:151-160, 1996. 33. Nummela, A., A. Mero, J. Stray-Gundersen, H. Rusko: Important determinants of anaerobic running performance in male athletes and non-athletes. International Journal of Sports Medicine 17:S91-S96, 1996. 35. Levine, B.D. and J. Stray-Gundersen: “Living High-Training Low”: The Effect of Moderate Altitude Acclimatization with Low Altitude Training on Sea Level Performance in Trained Runners. Journal of Applied Physiology 83(1): 102-112, 1997. 36. Moore, G.E., P.L. Painter, K.R. Brinker, J. Stray-Gundersen, J.H. Mitchell: Cardiovascular Response to submaximal stationary Cycling during Hemodialysis. Journal of Applied Physiology submitted Feb, 1997. 37. Misra A, Garg A, Abate N, Peshock RM, Stray-Gundersen J, Grundy SM Relationship of anterior and posterior subcutaneous abdominal fat to insulin sensitivity in nondiabetic men. Obesity Research; 5(2):93-9, March 1997. 38. Chapman R.F., Stray-Gundersen, J. and B.D. Levine: Individual Variation in Response To Altitude Training. Journal of Applied Physiology 85(4): 1448-56, Oct, 1998. 39. Chapman R.F., Stray-Gundersen, J. and B.D. Levine: Impairment of 3,000M Running Performance at Moderate Altitude is Influenced by Limitation in Pulmonary Gas Exchange. Journal of Applied Physiology submitted Jan, 1998. 40. Bahr, R., J. Stray-Gundersen: Time to Get Tough on Doping? British Journal of Sports Medicine, 33(2): 75-6, April, 1999. 41. Stray-Gundersen, J. and Benjamin D. Levine: “Living high and training low” can improve sea level performance in endurance athletes. British Journal of Sports Medicine, 33(3): 150-151, June, 1999. 42. Chandalia M, Abate N, Garg A, Stray-Gundersen J, Grundy SM: Relationship between generalized and upper body obesity to insulin resistance in Asian Indian men. J. Clinical Endocrinology and Metabolism; 84(7):2329-35, July, 1999. 43. Foster C, Rundell KW, Snyder AC, Stray-Gundersen J, Kemkers G, Thometz N, Broker J, Knapp E: Evidence for restricted muscle blood flow during speed skating. Medicine Science in Sports and Exercise, 31(10):1433-40, Oct. 1999. 44. Stray-Gundersen, J., Sams, B., Goodkin, D, Wang C., Holloway D., and J. Thompson: Correction of Anemia and Regular Exercise are Additive in Improving Functional Capacity of Hemodialysis Patients. Kidney International submitting. 45. Bahr, R., J. Stray-Gundersen: Time to Get Tough on Doping? British Journal of Sports Medicine, 33(2): 75-6, April, 1999. 46. Birkeland, KI, J. Stray-Gundersen, P. Hemmersbach, J. Hallen, E. Haug and R. Bahr Effect of rhEPO administration on serum levels of sTfR and cycling performance. Medicine and Science in Sports and Exercise, 32(7):1238-43; July 2000. 47. Stray-Gundersen, J. R. Chapman and Benjamin D. Levine “Living high-training low” altitude training improves sea level performance in male and female elite runners. J Appl Physiol. 91(3):1113-20; Sept 2000. 48. Videman T, Lereim I, Hemmingsson P, Turner MS, Rousseau-Bianchi MP, Jenoure P, Raas E, Schonhuber H, Rusko H, Stray-Gundersen J. Changes in hemoglobin values in elite cross-country skiers from 1987-1999. Scand J Med Sci Sports. 10(2):98-102; April 2000. 49. Garg A, Stray-Gundersen J, Parsons D, Bertocci LA. Skeletal muscle morphology and exercise response in congenital generalized lipodystrophy. Diabetes Care. 23(10):1545-50; October 2000. 50. Levine BD, Stray-Gundersen J. The effects of altitude training are mediated primarily by acclimatization, rather than by hypoxic exercise. Adv Exp Med Biol. 2001;502:75-88. Review. 51. Ge RL, Witkowski S, Zhang Y, Alfrey C, Sivieri M, Karlsen T. Resaland GK, Harper M, Stray-Gundersen J, Levine BD. Determinants of erythropoietin release in response to short-term hypobaric hypoxia. J Appl Physiol. 2002 Jun; 92(6):2361-7. 52. Gore CJ, Parisotto R, Ashenden MJ, Stray-Gundersen J, Sharpe K, Hopkins W, Emslie KR, Howe C, Trout GJ, Kazlauskas R, Hahn AG. Second-generation blood tests to detect erythropoietin abuse by athletes. Haematologica. 2003 Mar; 88(3):333-44. 53. Stray-Gundersen J, Videman T, Penttila I I, Lereim I. Abnormal Hematologic Profiles in Elite Cross-Country Skiers: Blood Doping or? Clin J Sport Med. 2003 May;13(3):132-137. 54. Stray-Gundersen, J., J. Shobe, G. Kling, H. Kuipers, and J. Moran. The SAFE program: A System to Deter and Detect Current Methods of Blood Doping. European J. of Applied Physiology. (submitted Jan 2002). Stray-Gundersen J. Discrepancy between cardiorespiratory system and skeletal muscle in elite cyclists after hypoxic training. Dyn Med. 2003 Aug 22;2(1):4. Jelinek J, Levine BD, Prchal JT. Search for genetic determinants of individual variability of the erythropoietin response to high altitude. Blood Cells Mol Dis. 2003 Sep-Oct;31(2):175-82. 57. Meeusen R, Piacentini MF, Busschaert B, Buyse L, De Schutter G, Stray-Gundersen J. 60. Kjendlie PL, Stallman RK, Stray-Gundersen J. Adults have lower stroke rate during submaximal front crawl swimming than children. 61. Kjendlie PL, Ingjer F, Stallman RK, and Stray-Gundersen J. Factors affecting swimming economy in children and adults. Eur J Appl Physiol. 2004, Oct, Vol 93: 65-74. 62. Kjendlie PL, Stallman RK, Stray-Gundersen J. Passive and active floating torque during swimming. Eur J Appl Physiol. 2004 Oct;93(1-2):75-81. Sakai H, Stray-Gundersen J, Vanhoutvin S. Hemoglobin and hematocrit values after saline infusion and tourniquet. Int J Sports Med. 2005 Jul-Aug;26(6):405-8. 64. Levine BD, Stray-Gundersen J. Point: positive effects of intermittent hypoxia (live high:train low) on exercise performance are mediated primarily by augmented red cell volume. J Appl Physiol. 2005 Nov;99(5):2053-5. BD. Urine acid-base compensation at simulated moderate altitude. High Alt Med Biol. 2006 Spring;7(1):64-71. 66. Gore CJ, Rodríguez FA, Truijens MJ, Townsend NE, Stray-Gundersen J, Levine BD. intermittent hypobaric hypoxia (4,000-5,500 m). J Appl Physiol. 2006 Nov;101(5):1386-93. Epub 2006 Jun 22. 67. Levine BD, Stray-Gundersen J.
Dose-response of altitude training: how much altitude is enough? Adv Exp Med Biol. 2006;588:233-47. Review. Rodríguez FA, Gore CJ, Stray-Gundersen J, Levine BD. autonomic control of blood pressure in young athletes. Am J Physiol Regul Integr Comp Physiol. 2007 May;292(5):R1977-84. 69. Hawkins MN, Raven PB, Snell PG, Stray-Gundersen J, Levine BD. Maximal oxygen uptake as a parametric measure of cardiorespiratory capacity. Med Sci Sports Exerc. 2007 Jan;39(1):103-7. Erratum in: Med Sci Sports Exerc. Stager JM, Chapman RF, Saltin B, Levine BD. Scand J Med Sci Sports. 2007 Jun;17(3):281-91. 71. Rodríguez FA, Truijens MJ, Townsend NE, Stray-Gundersen J, Gore CJ, Levine BD. hypoxic exposure plus sea level training. J Appl Physiol. 2007 Nov;103(5):1523-35. 72. Wilber RL, Stray-Gundersen J, Levine BD. Effect of hypoxic “dose” on physiological responses and sea-level performance. Med Sci Sports Exerc. 2007 Sep;39(9):1590-9. 73. Truijens MJ, Rodríguez FA, Townsend NE, Stray-Gundersen J, Gore CJ, Levine BD. submaximal economy in well-trained swimmers and runners. J Appl Physiol. 2008 Feb;104(2):328-37.